That´s right. Our ears are more accustomed to things like an All-Night Vigil or a Liturgy of St. John Chrysostomus than to a Mass. But, please tell me you've heard the Great c minor Mass..
Oh yes, that too but I forgot to mention it. To my shame I must confess that besides the Coronation Mass and the Requiem Mozart's sacred music is virtually unkown to me, a state of affairs which I intend to redress just these days, with the help of Messrs Harnoncourt, Neumann and Philips Mozart Edition. A project that will run parallel to that of chronologically listening to Brahms's complete works on DG. Harnoncourt and Neumann have made excellent recordings imo, not sure if I prefer one or the other, but I think I tend to like them more than the Philips edition (which isn't as HIP as the others). Welcome, I will provide a couple of socks knocked off examples, but this post is just to reassure you about how we deal with threads. I will explain current thinking. A long time ago we tried hard to match new and old threads that covered the same topic. But I recall one Bach thread which had so much in it that when the topic came up again, the new folk were referred to the existing thread and it stifled discussion. That proved to be counterproductive in prompting people for their views. We are happy to let some duplicate threads emerge and if it is useful, once it has run its course, we can merge them to help focus later search results. We also tend to try not to move threads about too much. So if a good discussion is going on about Beethoven's Fidelio in the Great Recordings section, we are unlikely to move it to the Opera and Vocal room. Sometimes the initiator asks us to move threads and we do that leaving a redirect message. We have a fair few new members and I though that any passing by here can pick up on this explanation. I was going to put a link to this post, but instead, I have copied it across. A new song cycle that seems to me to be a masterpiece. But can it enter the repertoire? Most great song cycles yield to some possibility of permitting different voice types to advocate them. There are some exceptions such as Strauss's Four Last Songs. But here, you need a high wire soprano who can cope with microtones. I cannot imagine the piece being transposed; it would destroy the orchestral sounds and textures. So very few singers will be able to advocate this piece; which does not make it any less compelling or important. But I doubt that you will get much opportunity to hear it live. This group of songs uses the words of Hamlet's Ophelia extracted and reordered to provide a much more richly textured character: someone who can represent women and their experiences widely and deeply. The soundworld is tonal, but without a firm key. The orchestra kept reminding me of glass, evoking white light. Much of it lies high, it shimmers. The words are drawn from Shakespeare, the sounds often echo Monteverdi. Abrahamsen deploys a repeatedly struck note and word like the earlier composer did to hit home words or emphesise a point. That trait is most evident in the initial and then the final movement. There is melody, not long and sinuous, but transitory, snatched and short breathed. Yet, it does not feel fragmented, this is a deeply satisfying listen. 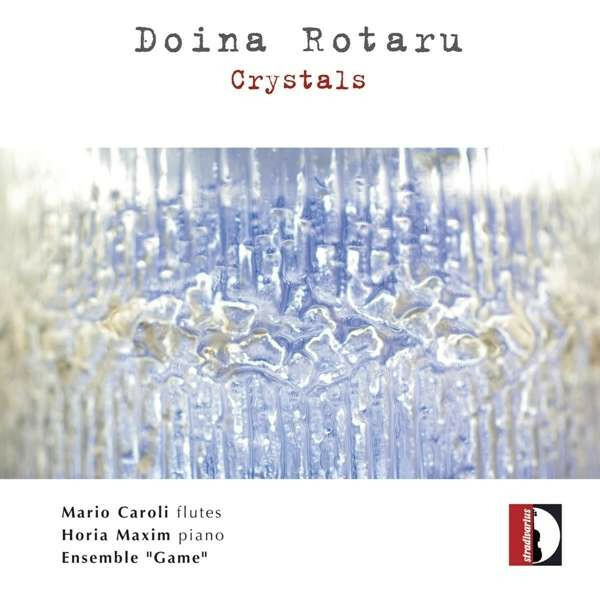 It is spellbinding music, moving and disolving like a mirage. The final movement fades away rather like the end of Das Lied. Without echoing Mahler, I neverthless kept thinking of the disolve at the end of the 9th Symphony. The performance seems splendid; this singer is very much under the skin of the piece and has the technique to manage the extraordinary difficulties that have been stitched into it. Nelsons pulls out lots of layering and detail, though I have no idea what else it might sound like, but assume he serves the score faithfully, how would I know? But the orchestra sounds terrific. At only just over half an hour it feels like an expensive disc......until you hear it. For the last several months I have been listening exclusively to the Bach organ works played by the likes of Walcha, Alain, Koopman, Hurford and Fickley. If J.S. Bach wasn't the greatest composer who ever lived, he is sure doing a great impersonation of it here! As completely blown away as I ever could be!! I promised two, here is the second one. Although I very much enjoy Mozart's operas and a lot of his other compositions, for some reason I can't explain I avoided his songs. I recently bought a live 1954 recital by Schwarzkopf of a Aix Festival concert. The pianist is Hans Rosbaud. Part way through the song Abendempfindung jumped out of the speakers. It is a delicate, beautiful song and I love the way the singer delivers it in an almost conversational way. Here she was live, no opportunities to retake to eliminate one or two slightly overstreched phrases. But it does not matter, this performance gets to the heart of the song. A few minutes very well spent. As you may detect, it is the performance as much as the song which so delghted me. David Lang ~ Crowd Out for 1000 voices. I was very taken with the sound the piece makes as a piece as well as the social import of the piece as event. The 12 Piano Sonatas by Vincent Persichetti. Most are delightful neo-classical works, highly approachable and very witty. I believe Haydn would have loved them. They always blow me away! Probably one of the most dazzling and impressive violin concertos I have heard recently! Right back atcha, Monsieur Croche! El Píthi has been recently blown away by Schuman's Symphony No. 10 AND the Shostakovich Symphony No. 4. Yes. I am settling in here on GMG very, very nicely! Ockeghem's Missa Prolationum may be the greatest exercise in contrapuntal virtuosity anywhere in the European Renaissance. Strict rhythmic transformation of a notated melody had existed within the tradition of the isorhythmic motet, wherein subsequent sections of the piece would apply such transformations to the tenor's fixed melody by means of new time signatures. Ockeghem's colleague in the 1440s at Our Lady's of Antwerp, Petrus de Domarto, apparently was the first to apply mensural rhythmic transformation to the various movements of a Mass Ordinary cycle, in his Missa Spiritus alme.Guillaume Dufay posed himself the challenge of a "mensuration canon" -- two voices singing the same melody in different time signatures -- in an early motet, Inclita stella maris, and a late chanson, Les doleurs. But it was left to the supreme craftsman, Ockeghem, to raise the compositional stakes and challenge himself to write an entire mass based on a series of such canons: in short, to exploit the system of mensural notation as never before (and not since). The musical feature which makes a mensuration canon possible is the fact that in the fifteenth century's system of notation, the same note symbol could take a different rhythmic value under different mensurations (or time signatures). This means that in addition to the more standard type of canon, where subsequent voices sing the same melody at a later time or a different pitch level, the same melody may be sung in counterpoint to itself in two different simultaneous time signatures. All of the movements of Ockeghem's Mass are examples of this most difficult type of canon. Moreover, all of the movements are double canons: two notated voices are each subjected to different mensuration canons to produce four vocal parts. As if this weren't enough of a challenge, Ockeghem sets each canon at a different musical interval: Kyrie at the unison, Christe at a whole step, Kyrie II at a third, Gloria at a fourth, etc., to Osanna at the octave. The Agnus Dei movements return to canonic intervals of the fourth and fifth. The Prolation Mass is not merely an intellectual curiosity, however. Music theorists from shortly after Ockeghem's death until the twentieth century have extolled the concept and contrapuntal workmanship of the Mass; the later twentieth century has even seen in Ockeghem a kinship with the hyper-intellectual esotericism of "Contemporary-classical" music written by academic composers. 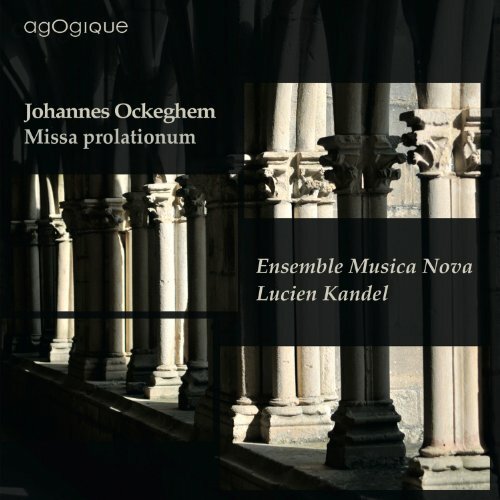 However, the elegance of Ockeghem's Mass is not restricted to the conceptual world of notation and thought; it presents a sonic experience fully commensurate with the harmonies and melodies expected by his contemporary listeners. The openings of movements often seem rhythmically unmoored, as different voices sing long notes of various lengths, but the true test of his skill is the aural facility of his melodic weavings and his cadences; he even successfully slips an expressive accidental into the canonic complex at Crucifixus. A harmonically warmer Sanctus cannot be found in his work, and the octave canon in Osanna provides for a powerful conclusion. Even as natural laws of staggering complexity may govern in secret the processes of a budding rose, a terribly difficult, but hidden, level of craftsmanship yields the sweetness of Ockeghem's music. Completely blown away by Bartok's String Quartets! I have marvelled at his 1st and 2nd string quartets. I am now listening to his 3rd and it is seismic in proportions! I have no idea how, to my ears, Bartok managed to break the boundaries once laid down by Beethoven's late quartets. Geez! - I thought that listening to Bartok's orchestral works followed by his piano concertos would give me a clue of his creativity. Then I listen to these marvellous works and can barely close my mouth in astonishment. Bartok's 3rd string quartet is so tight starting off with a simple motif that evolves drastically creating a surreal atmosphere that is projected out in the wild by the tumultuous second movement. The third movement brings back the serene drama of the first with a climactic ending that mirrors the second. Now I am slowly 'absorbing' the 4th and can't wait to listen to his last 2!